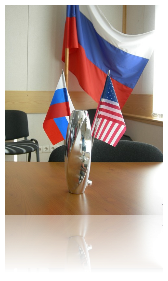 In an effort to promote world peace and understanding through local activities, the Los Alamos-Sarov Sister Cities, Initiative coordinates cooperative activities between the Sister Cities of Sarov, Russia and Los Alamos, NM, USA. These activities include but are not limited to projects in the areas of culture, art, science, education, business, legal affairs, medicine, and civic conduct. The purpose of LASSCI is to design, implement and manage educational programs such as public discussion groups, forums, panels, lectures, exchanges, and similar programs that will be of mutual benefit to the communities of Sarov, Russia and Los Alamos, New Mexico, USA for learning about each other's community and culture. Register here to join our e-mailing list to receive occasional (typically no more than once per month) updates and bulletins from LASSCI. You have the option to opt out in each message.